Boarding kennels are perfect businesses for animal lovers—lots of canine friends to attend to and care for daily. States, however, have regulations regarding kennel construction, space, utilities and maintenance. So if you’re thinking of opening a boarding kennel, or even if you already own one, be sure your kennel is up to your state’s code, particularly if your state performs routine inspections. Be sure you have the appropriate state kennel licenses, according to the I Love Dogs website. Also before you “move in,” be sure the building you choose for your kennel facility is zoned for that purpose. Become fluent in your state’s regulations for commercial kennel operation, then exceed your state’s standards. This will not only ensure that you’re meeting state requirements, but it will also attract new business. Be sure the building you choose for your kennel has enough space to house your existing clientele as well as any new doggie guests. Your state may require specific sizes for each dog run or cage, according to the weight of the dog. The Official State of Connecticut website, for example, requires that inside or outside runs be at least 10 feet long and 36 inches wide for dogs up to 45 pounds, and at least 48 inches wide for dogs over 45 pounds. Inside pens must be five square feet per dog 25 pounds or less, nine square feet per dog between 25 and 45 pounds and 16 square feet per dog over 45 pounds. Boarding facilities must be structurally sound, water-resistant and non-toxic; prevent dogs from injury or escape; protect them from inclement weather and keep other animals from entering. The kennel must have both hot and cold running water, be maintained at a comfortable temperature for both dogs and employees and allow fresh-air ventilation and adequate lighting at all times. Your state may require specific light levels or temperatures, so be sure to check. 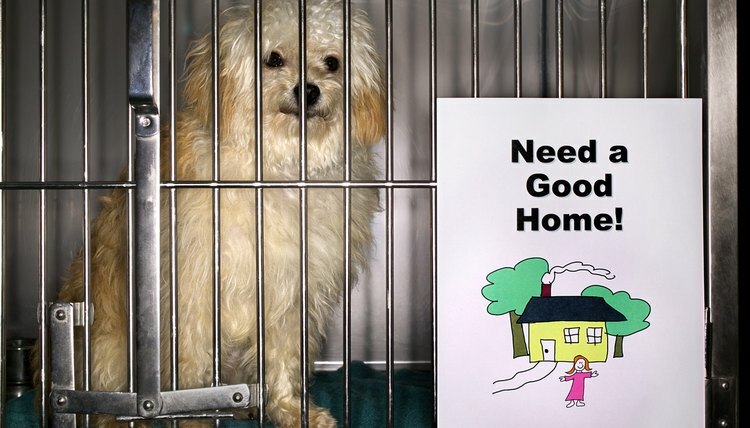 The kennel must also provide a separate facility for housing quarantined dogs. Employees need to provide the dogs with clean, fresh water and fresh food and keep food and water dishes clean and sanitary. Staff should clean up urine and feces at least once a day, wash and disinfect the runs and dispose waste in a sanitary manner. Workers should keep the kennel clean enough so that pests, such as rats and mice, do not enter. Dogs kept in cages should be confined one to a cage, unless otherwise noted for health or welfare reasons, such as mother dogs needing to feed their puppies. Cages should allow each dog to stand up, turn around and lie back down. Employees should segregate adult dogs to prevent breeding and to protect dogs from attacks and injury.